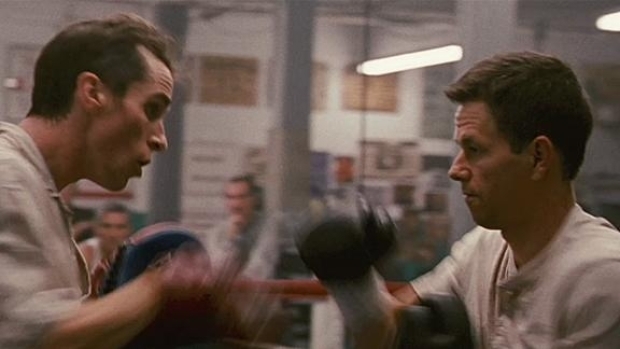 Review: Wahlberg's Punches Land in "The Fighter"
PopcornBiz Takes a Boxing Referee to "The Fighter"
In case you’ve somehow forgotten in the midst of the holiday season what a drag your family can be on your hopes, dreams and sanity, “The Fighter” is here to remind you. But don’t let that discourage you, ‘cuz it’s also a ripping good time. Mark Wahlberg is “The Fighter,” Irish Micky Ward, a promising junior welterweight from the mean streets of Lowell, a spent old mill town on Massachusetts’ north shore. Ward learned most everything he knows about boxing from his older brother, Dicky Eklund (Christian Bale, firmly wrapping his fingers around his first Oscar nomination), whose own promising career was derailed by drug addiction. Micky and Dicky are half-brothers, just two of the nine (9!) offspring of Alice Eklund (Melissa Leo). Alice, as her sons call her, is a self-absorbed, chain-smoking mess constantly swearing she only has Micky’s best interest at heart, while repeatedly throwing him to the wolves. It sounds like a wicked bummer, but the film is a blast, a funny, energetic, exciting ride set to a high-octane soundtrack featuring the likes of Aerosmith, Led Zeppelin and The Heavy -- you know and love their song “How You Like Me Now,” you just don’t know it. 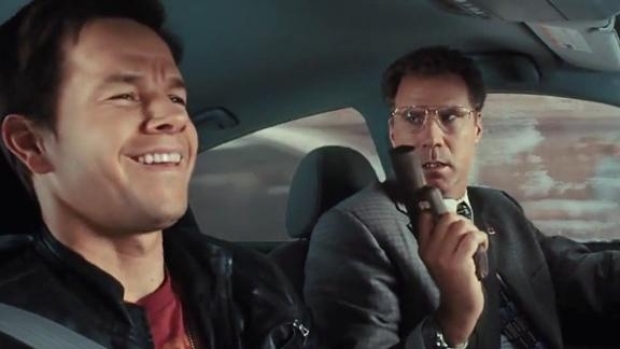 Wahlberg and Ferrell Are "The Other Guys"
This new action-comedy from "Step Brothers" director Adam McKay stars Will Ferrell and Mark Wahlberg as a couple of in-over-their heads crime-fighters. It's due out Aug. 6. Director David O. Russell manages to weave the story of a junkie, an up-from-the-streets underdog, a drama about the horrors of family dynamics, a story about the value of a good woman, and a buddy comedy all into one narrative without ever losing his place. It’s an impressive piece of storytelling, with the brothers’ seven sisters serving as a hilarious gum-snapping Greek chorus with names like Beaver, Red Dog, Tar and Pork. Oh, and there's a ton of great boxing scenes, too. Irish Micky Ward is maybe the perfect role for Wahlberg, who gets to pour much of his energy either getting into rock-hard shape or stand-there-agape at the human disasters that are keeping him down. And Wahlberg smartly surrounded himself with top-flight talent in Christian Bale, Amy Adams (reminding you why you feel in love with her in “Junebug”) and Melissa Leo, all of who nail the accent that so often derails any movie that takes place within 100 miles of Beantown. Dicky Edlund is an actor’s dream: dental prosthetics, crazy accent, weight loss (though nothing like “The Mechanic”) and drug abuse… and Bale crushes it, without making it a showy, scenery-chewing spectacle. To get an idea of how good Bale’s work really is, stick around for the credits and see some footage of the real Dicky. When the first trailer for “The Fighter” dropped, some clowns in cyberspace couldn’t help but wonder what Russell was doing directing what appeared to be a simple underdog story. Turns out he was making one of the best underdog movies ever.